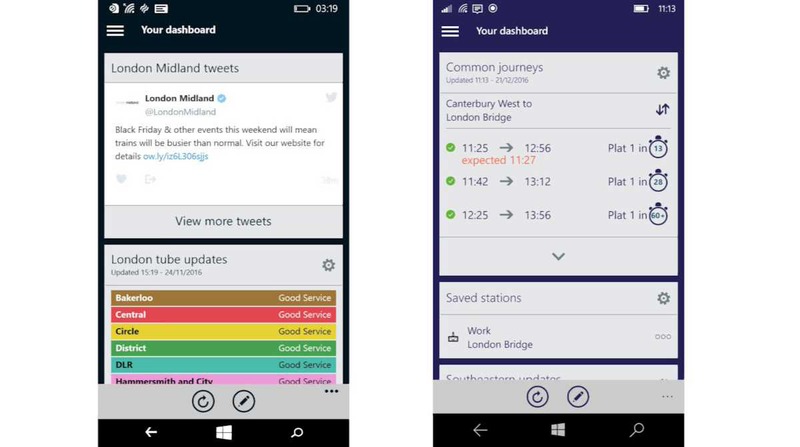 The London Midland and SouthEastern train service apps now available for Windows Phone devices. With the apps you will get live departure times, platform changes, service updates, and a nifty journey planner are all just a swipe, tap and scroll away. Personalized dashboard for your regular journeys. Live departure and arrival boards. View updates for London Underground Tube routes. Customise the app to save and display train times, service updates and platform information for regular journeys you make. Check for live updates on all UK train journeys and plan your journey. View live departure and arrival boards. Look up station facilities and parking information. Download the apps from the link below.